If you want to know how to profit from penny stocks in 2017, you have to know how to conduct research to spot shady companies. 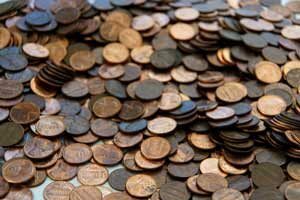 Today, we're going to show you one of the most important tips for easily identifying safe penny stocks this year. Penny stocks attract investors because they offer triple-digit returns, sometimes in just a matter of days. One such example is Daré Bioscience Inc. (Nasdaq: DARE), a women's healthcare company whose stock rocketed from $4.44 on June 30 to $11.30 on July 5. That's a 154.5% profit over just four sessions. But there are instances when big penny stock gains stem from dishonest or fraudulent activity. For instance, shares of Cynk Technology Corp. (OTCMKTS: CYNK), a shell company with zero revenue and zero assets, skyrocketed 24,900% in 2014, from $0.06 to $15. The U.S. Securities and Exchange Commission (SEC) ultimately found Cynk to be an illegal pump-and-dump scheme. The agency ended up sentencing a California stock promoter named Gregg Mulholland to 12 years in jail for spearheading the scam. However, CYNK's case isn't meant to scare you from penny stocks altogether. You can still safely invest in these tiny companies and make generous returns. One of the easiest ways to determine if a penny stock is safe is to look at the firm's 10-K filings, specifically the "Executive Compensation" section under Part III. A 10-K is a filing submitted to the SEC on an annual basis that offers details on the company's financials. These range from debt, outstanding shares, revenue, and earnings. 10-Ks are best thought of as financial report cards – they offer a comprehensive overview on every aspect of the firm's business. But the most important part is labeled "Executive Compensation," which outlines how the company's CEO and other executives are paid each year. Their compensation is either in cash or stock options. A red flag for investors is when the company pays executives in cash instead of options. This shows that the company's leaders aren't tied to the growth of their business. If they were paid in options, they'd make more money by growing the company and its profitability so their options become more valuable over time. But if they are only paid in cash, they don't have this incentive. A good rule to remember is to only invest in a penny stock whose executives also own shares of the stock. Always be weary of companies with CEOs who aren't paid in stock options. Despite its importance to finding good penny stocks to buy, the 10-K can be an intimidating document to get through. It's typically up to 100 pages in length and written in language meant for accountants. That's why Money Morning Small-Cap Specialist Sid Riggs – whose recent April 19 pick, IVAC, has climbed 45.7% since then – does the research for you. Sid is known for finding small-cap stocks tied to profitable and high-growth markets, including solar and cybersecurity. Today, he's recommending another company exposed to one of the fastest-growing markets in the world: the mobile banking market. Sid's research has found that up to 2 billion people will use their smartphones for banking transactions – such as check deposits – by 2019. That's 26.7% of the world's estimated 7.5 billion population as of April. Not to mention analysts are very bullish on this stock pick right now. In fact, they say shares of this stock could soar 60% over the next 12 months.